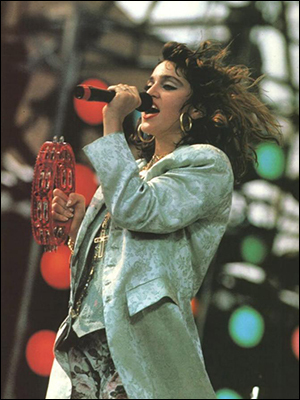 Live Aid was a benefit event on July 13, 1985, organised by Bob Geldof and Midge Ure to raise money to fight famine in Ethiopia. 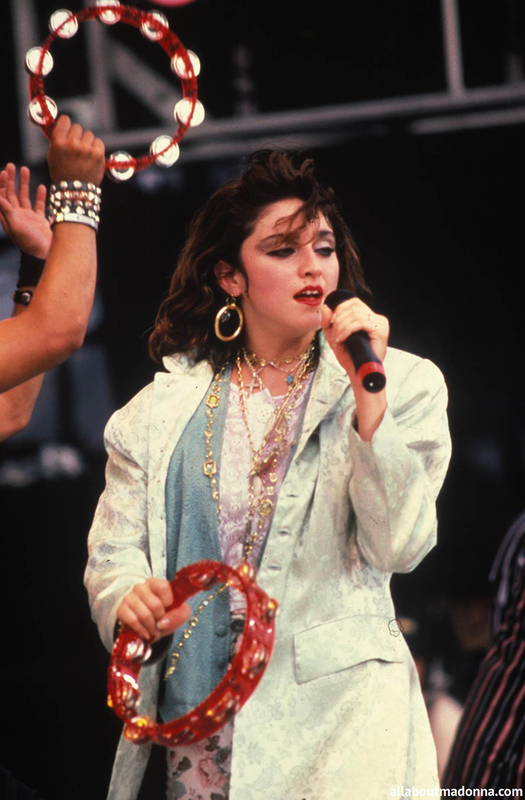 It consisted of two concerts, which were held simultaneously at Wembley Stadium, London and at the JFK Stadium in Philadelphia. 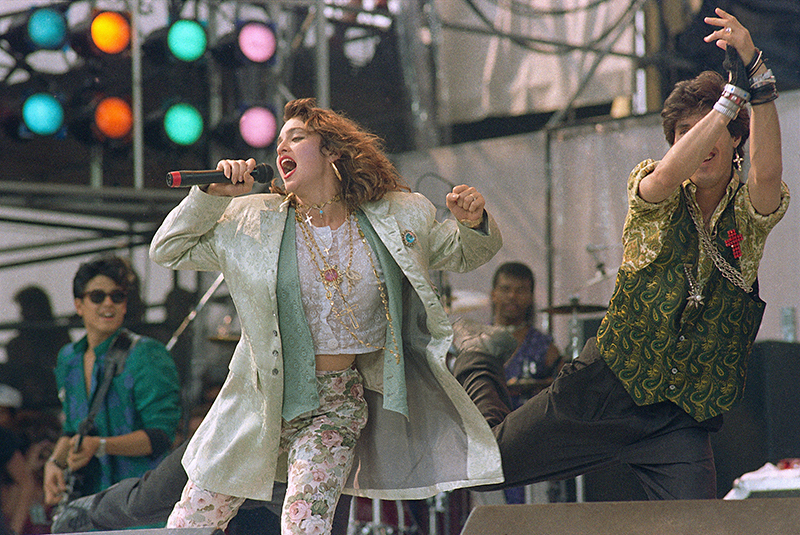 The shows were attended by respectively 72,000 and 100,000 people, while the TV broadcast reached a massive 1,9 billion global audience. 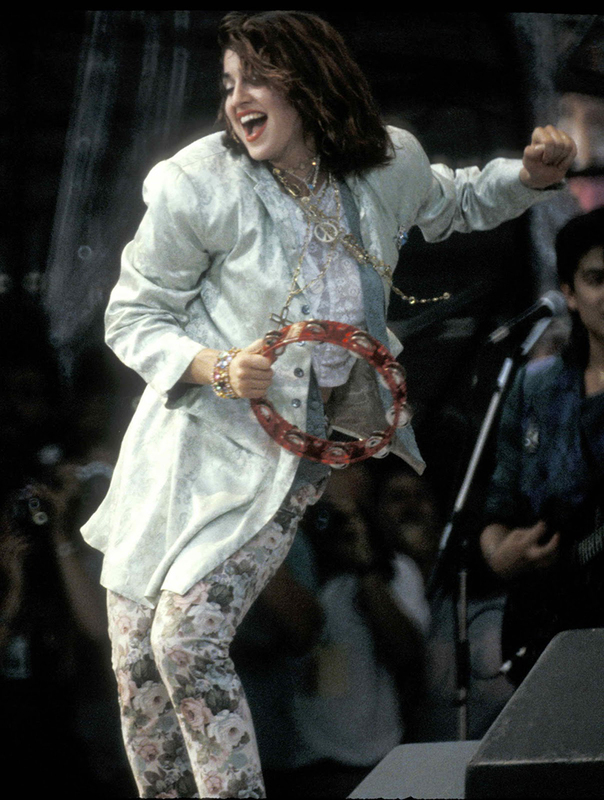 It was the largest benefit event of its time. 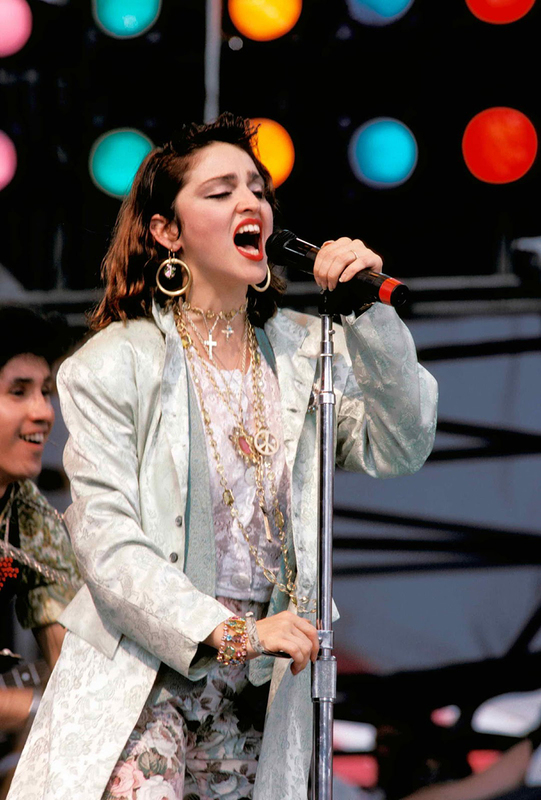 The star-studded line-up was unprecedented and included performances from practically every icon of the 80s: Queen, David Bowie, U2, Sting, Phil Collins, Elton John, Rolling Stones, Bob Dylan, Eric Clapton, Paul McCartney, The Who and many more. 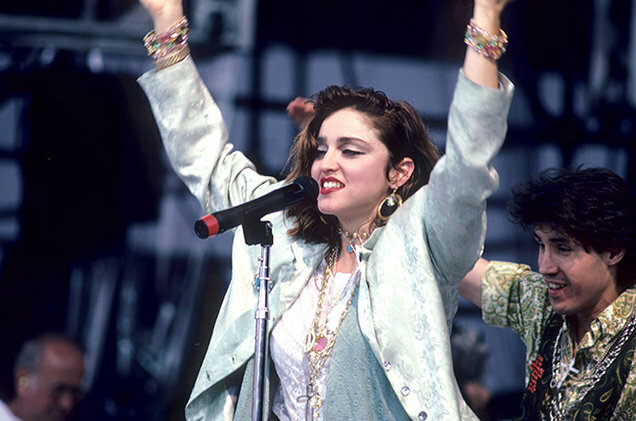 Madonna, who was one of the new revelations at that time, was part of the afternoon schedule in Philadelphia, starting her half hour set at 16.27. 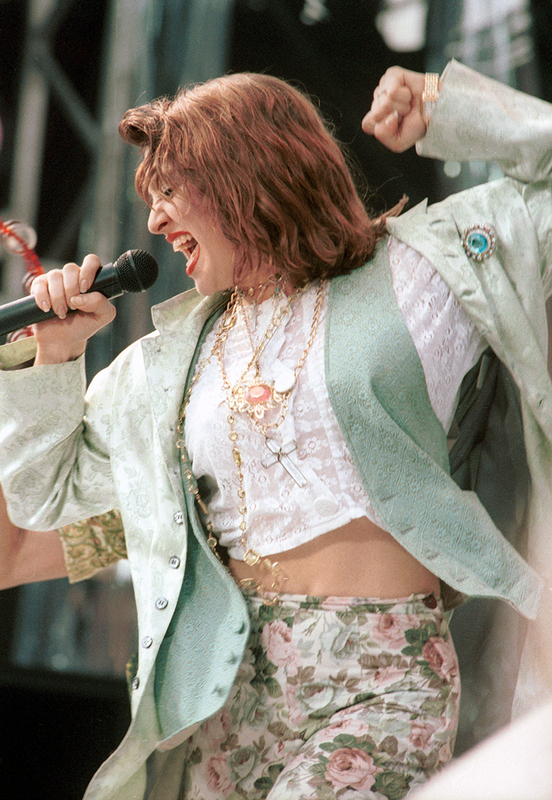 Bette Midler introduced Madonna as "the woman whose name has been on everyone's lips for the last six months, a woman who pulls herself up by her bra straps, and who has been known to let them down occasionally". 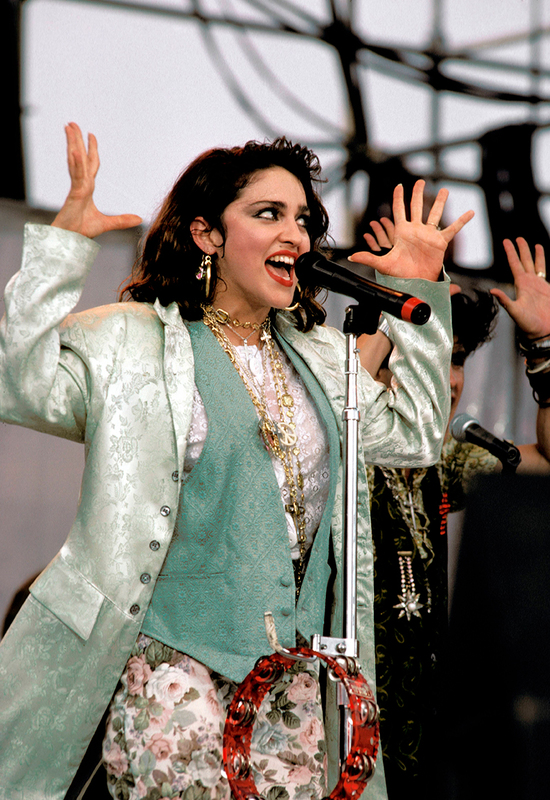 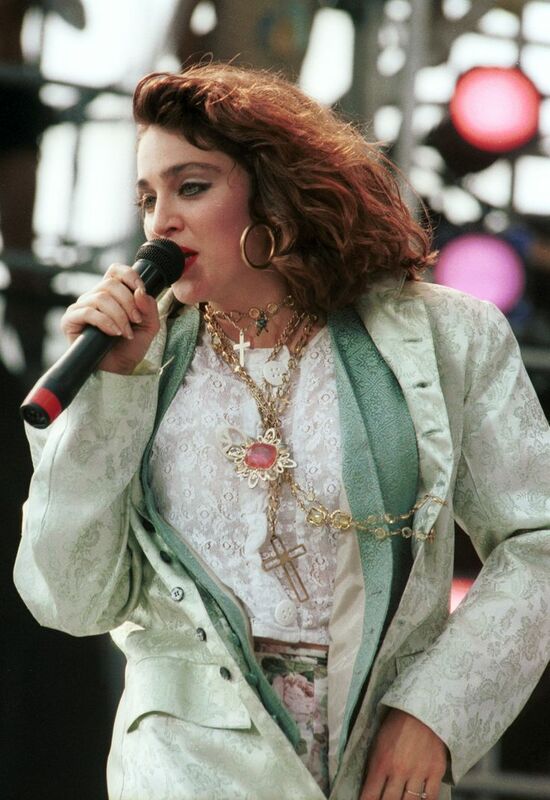 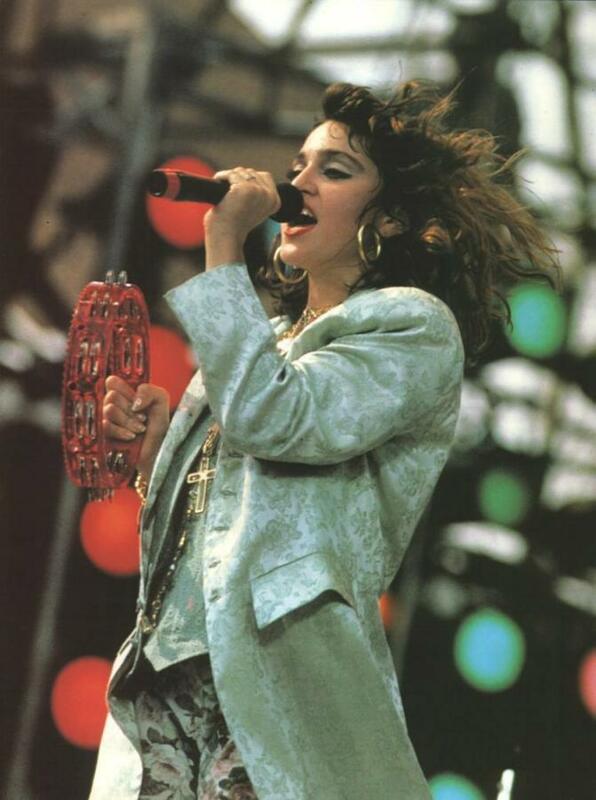 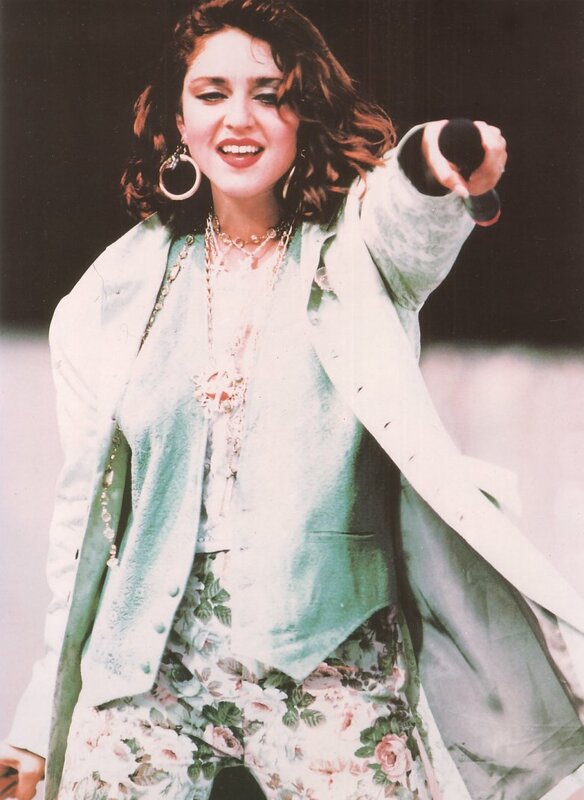 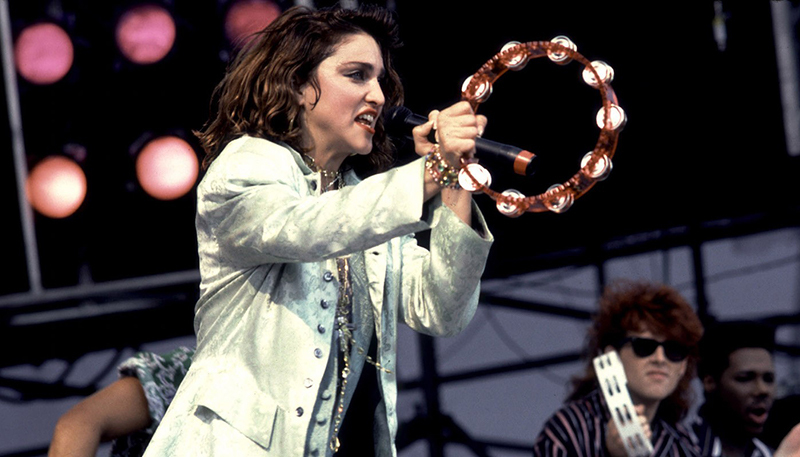 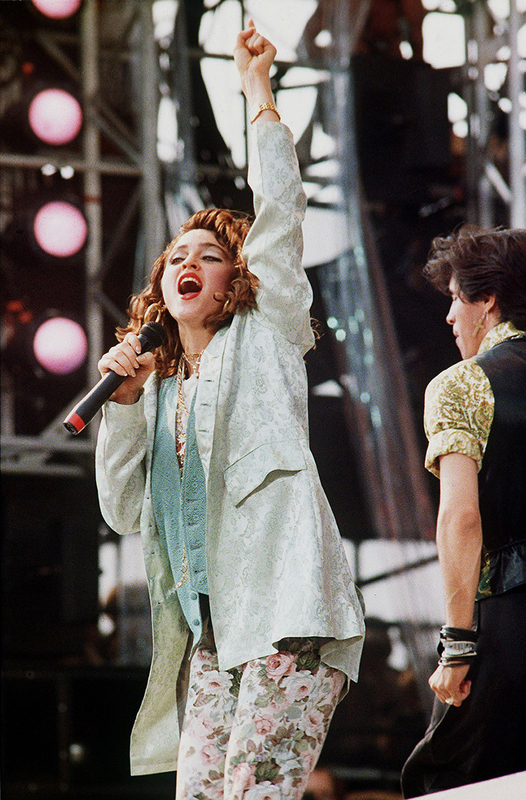 Madonna performed Holiday and her most recent single Into The Groove, before premiering Love Makes The World Go Round, from her upcoming album True Blue, which would be released only a year after Live Aid. 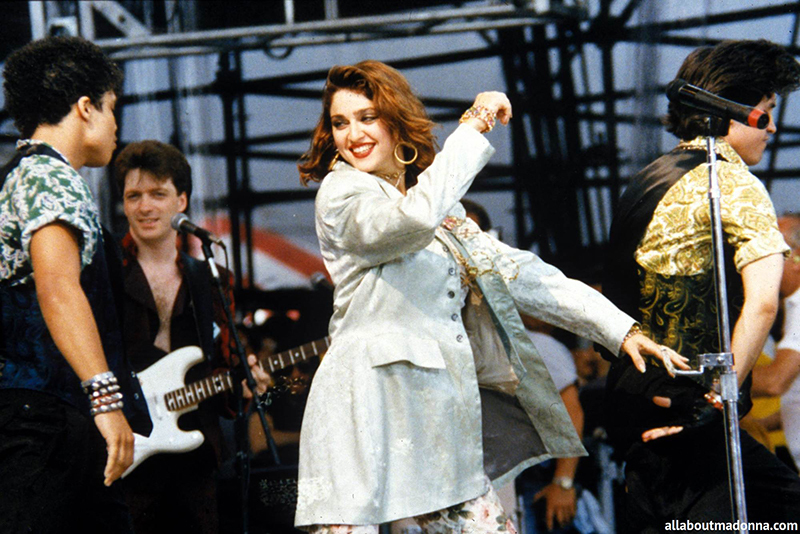 For this final performance, Madonna was joined on stage by Thompson Twins and Nile Rodgers. 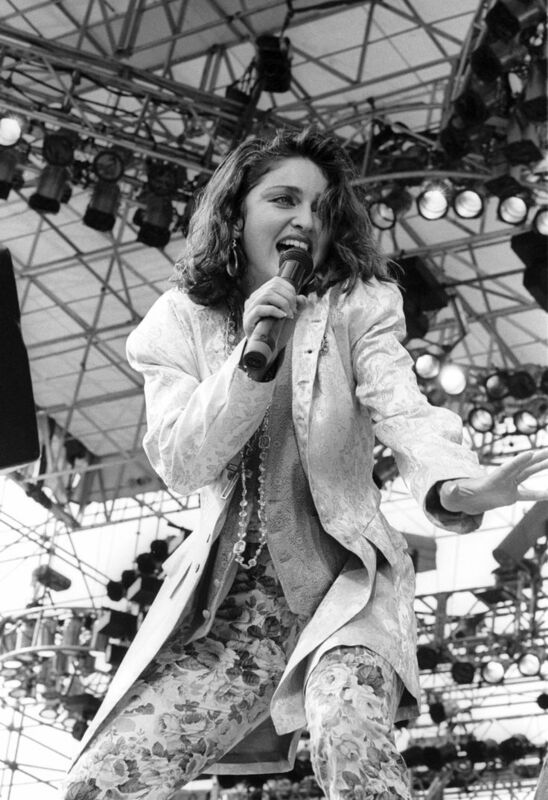 In return, Madonna made an appearance during Thomson Twins' set. 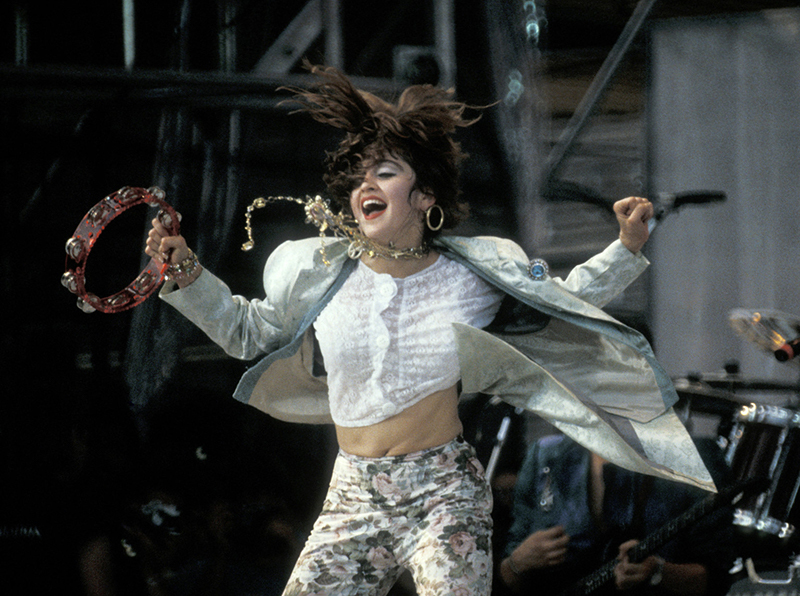 The DVD set of the concert only includes Holiday and Into The Groove.